Occasionally we lean about Rabbi fraudsters being charged of some serious unlawful activities. Two years ago we read about 'Organ trafficking Rabbis’ being arrested in New Jersey. Seemingly, the rabbinical price tag extends far beyond kidneys and organ trafficking. The BBC reported today that a self-described "Jewish Indiana Jones" who claimed to have travelled the world to rescue holy Torah scrolls has pleaded guilty to fraud. 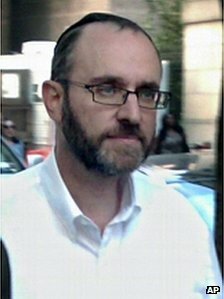 Rabbi Meacham Youlus, 50, admitted he had simply made up claims that he personally found and restored Torah scrolls in Europe and Israel. Prosecutors also said he defrauded the charity he founded and its donors of $862,000 (£545,000). According to a criminal complaint, Youlus claimed to have scoured Europe in search of lost or endangered Torah scrolls - the holy Jewish text containing the Hebrew scriptures of the Old Testament. He distributed the Torahs among American synagogues and communities, sometimes at inflated rates, and put almost one-third of the $1.2m proceeds into his personal accounts. At a 2004 Torah dedication, Youlus wrote: "I guess you could call me the Jewish Indiana Jones," the prosecutors alleged.